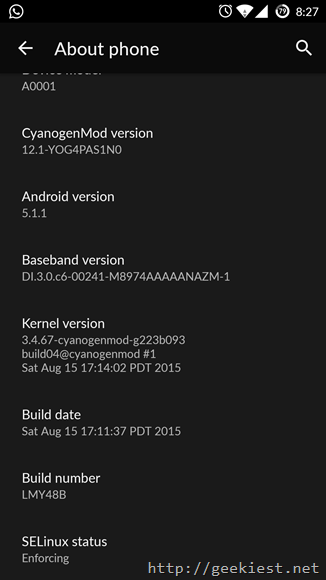 What is new in CM12.1 ? Smarter Screen: LiveDisplay intelligently adjusts your screen based on environmental conditions. Calendar Together with Email: Enjoy the latest Boxer powered experience where you can seamlessly share your availability and schedule appointments. 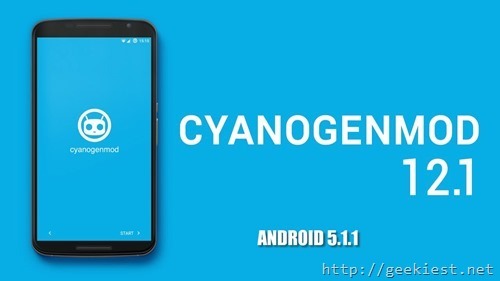 Cyanogen Browser: The new Cyanogen browser delivers search results and loads web sites faster and more securely than leading browsers. Redesigned Launcher: App Drawer and Folders have been redesigned for one-handed use. Fresh AudioFX: The user interface has been updated for consistency across all devices. More Playback support: We’ve substantially increased our support of codecs for video and audio playback. update and flash it via recovery mode. 3. Turn on device while holding volume down (select recovery) and press power. 4. Apply update (from device) navigate your way to your download folder and select the zip file and apply. To navigate use volume up and down and select with power. 5. When the updates done go back and wipe cache. Read more here (Do it at your own risk).